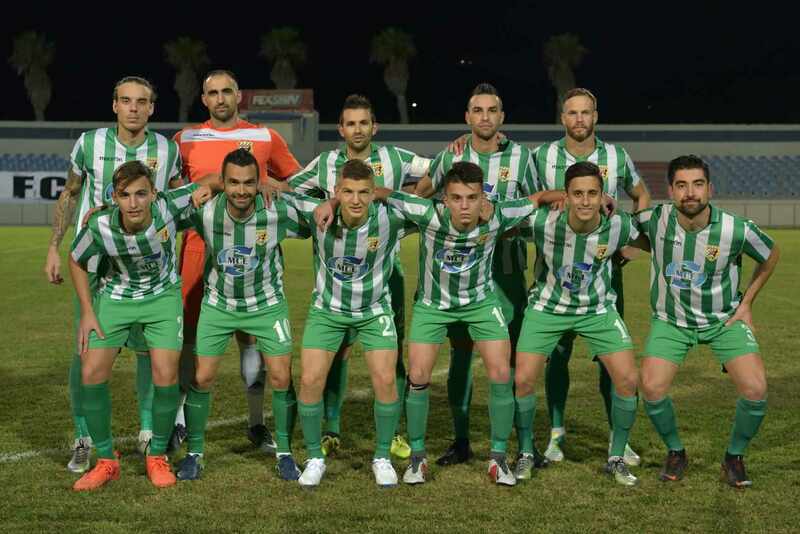 Vrndic, D. Cassar, A. Azzopardi, M. Hrubsa, J. Buttigieg (C. Caruana, M. Cefai), E. Vella, N.P. Mercadante Leite Do Canto, J. Grech (P. Debono), J.P. Mizzi, N. Mercieca, F.A. De Oliviera. Vella, L.B. 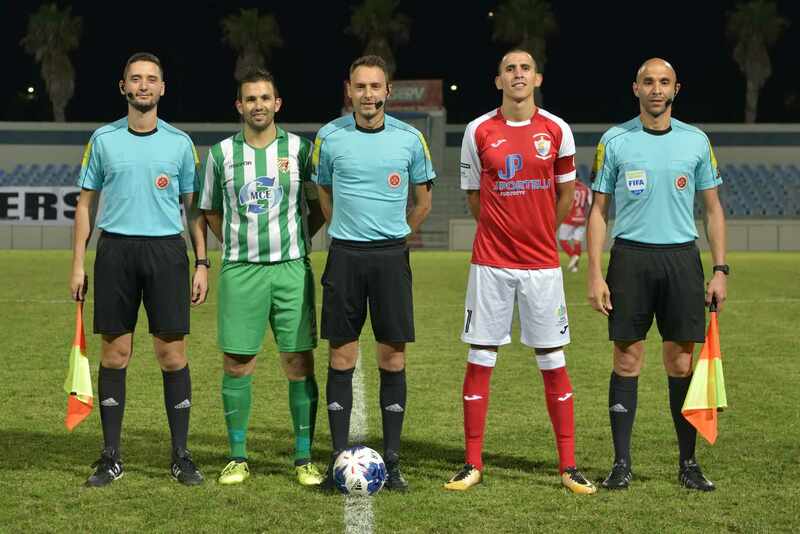 Da Silva, D. Farrugia, L. Tabone, I. Xuereb (J. Parnis), K. Farrugia (B. Said), M.J. Barbosa, D.M. Bustos, Sh. Attard, J. Buttigieg (M.P. Camilleri), Y.DJ. Messias. Kercem Ajax registered the biggest surprise so far in the championship when they held contenders for the title Nadur Youngsters to a draw in a match from match-day 5 of the BOV Gozo Football League of the first division. Nadur Youngsters found it more difficult than expected to obtain a win over bottom placed Kercem Ajax and ended up dropping two important points which may be crucial in their efforts to remain close to the current leaders Victoria Hotspurs. Nadur as expected held territorial supremacy over Kercem and for most of the match the Youngsters kept pressure over Kercem’s rearguard. However, they seemed overconfident and failed to convert their superiority into good scoring opportunities. 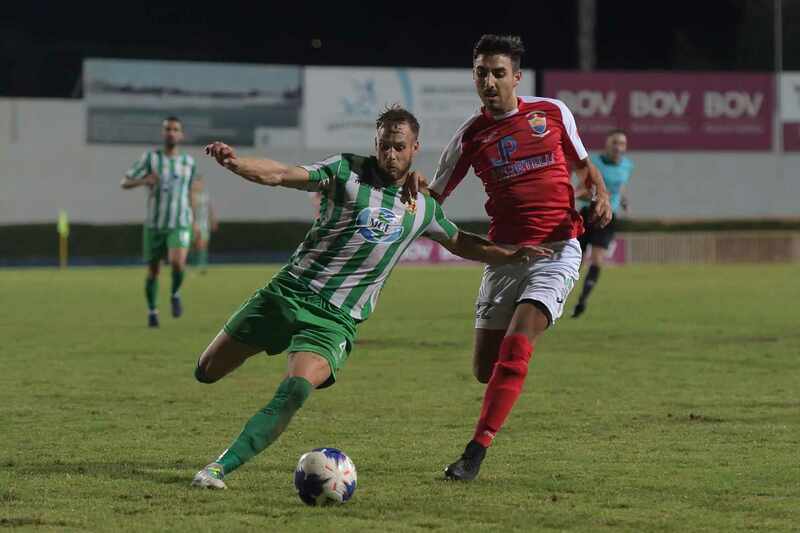 As a result Nadur had to struggle to open the score and failed to find a way to score the second goal which could have put their minds at rest form the three points. On the other hand Kercem confirmed the improvement shown in their previous match, where they obtained their first point in the championship. The Ajax were well deployed at their defense and made it extremely difficult for Nadur to find spaces to produce serious dangerous actins. 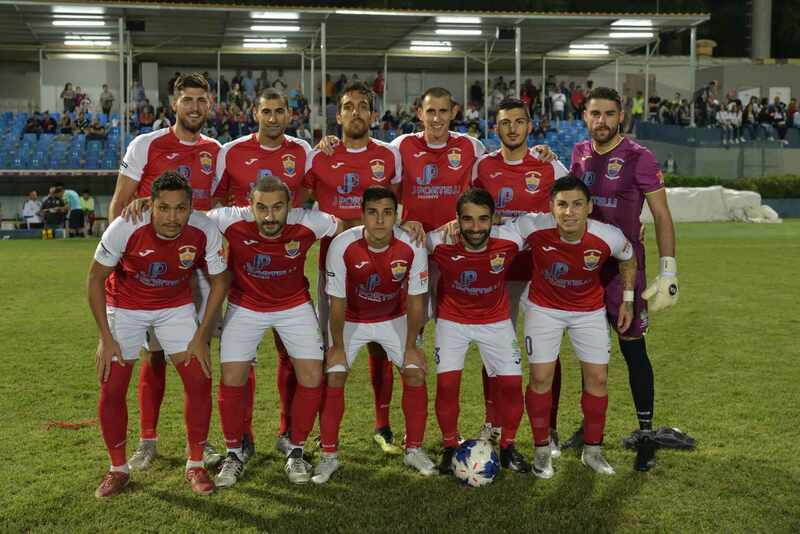 Kercem continued to adopt the prudent deployment even when they conceded Nadur’s goal so that in the final moments of the match they earned a penalty from a sporadic action and obtained an unexpected prestigious point from this match. 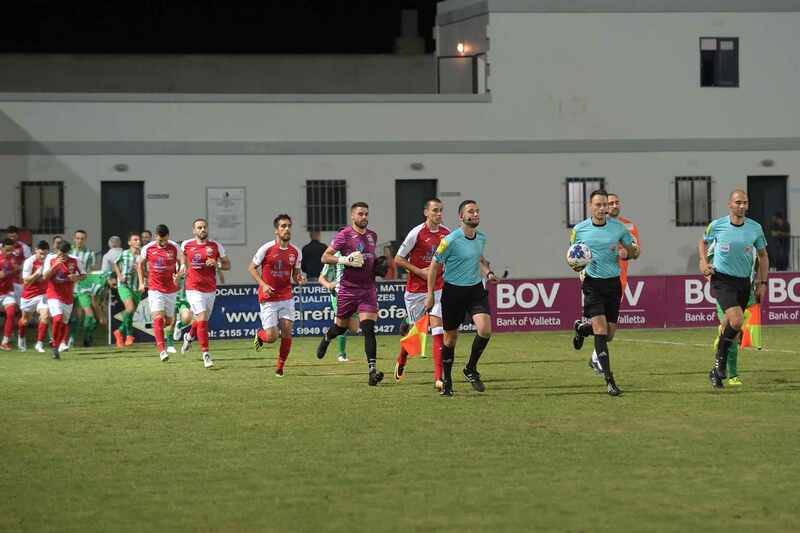 Nadur tried to score an early goal and during the opening minutes attempts by Shaun Attard and Daniel Mateo Bustos on separate occasions were neutralized by Kercem’s keeper Branko Vrndic. As time passed by Kercem grew in confidence and their defensive deployment became more effective as they managed to keep their area clear form danger. On 30 minutes Kercem’s goalie Branko Vrndic had good timing to take the ball before Yuri De Jesus Messias could conclude from a rebound that took place when a shot by Shaun Attard was blocked by the defense. 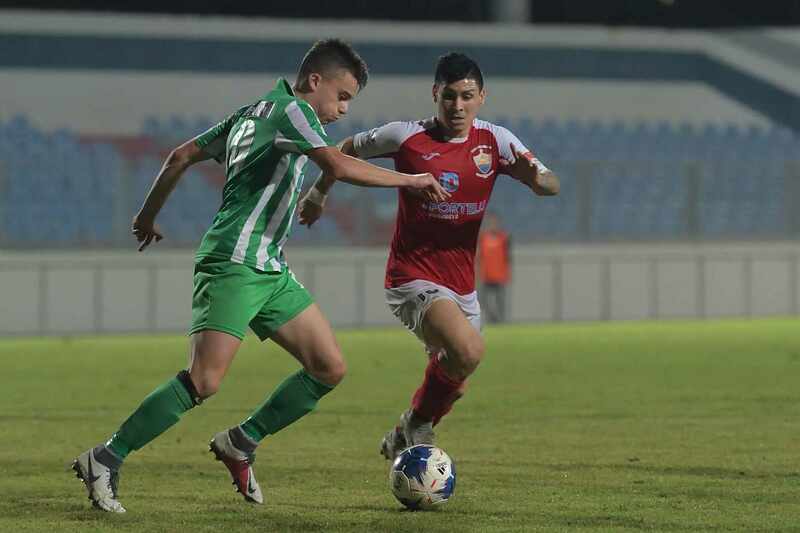 Three minutes later Nadur’s Marcelo Barbosa entered the area from the left flank but from his inviting cross Yuri De Jesus Messias concluded badly from an ideal position. On 34 minutes Nadur protested for a penalty alleging handling by Kercem’s defender in an attempt to stop an initiative in the area by Yuri De Jesus Messias and three minutes later a strike by Daniel Mateo Bustos ended high so that the first half ended in a goalless draw. After the resumption Nadur continued to dictate matters and on 49 minutes an effort by Yuri De Jesus Messias following a cross by Marcelo Barbosa was blocked by the defense. One minute later a shot by Daniel Mateo Bustos ended wide and on 53 minutes Nadur’s Marcelo Barbosa was released inside the area but Kercem’s defense recovered in time and cleared the danger to a corner before the striker could hit towards goal. Nadur were again dangerous on 56 minutes through s shot by Daniel Mateo Bustos that ended wide and one minute later Nadur opened the score through a header by Marcelo Junior Barbosa following a cross from the right flank that ended out of the reach of goalie Branko Vrndic. Ndur however continued to find it extremely difficult to conclude their actions within Kercem’s territory and on 69 minutes Nadur also risked a lot when the defense failed to clear the ball from a free kick by Kercem’s Andre Azzopardi, defender Kevin Farrugia headed badly but goalie Franklin Vella saved the danger to a corner. 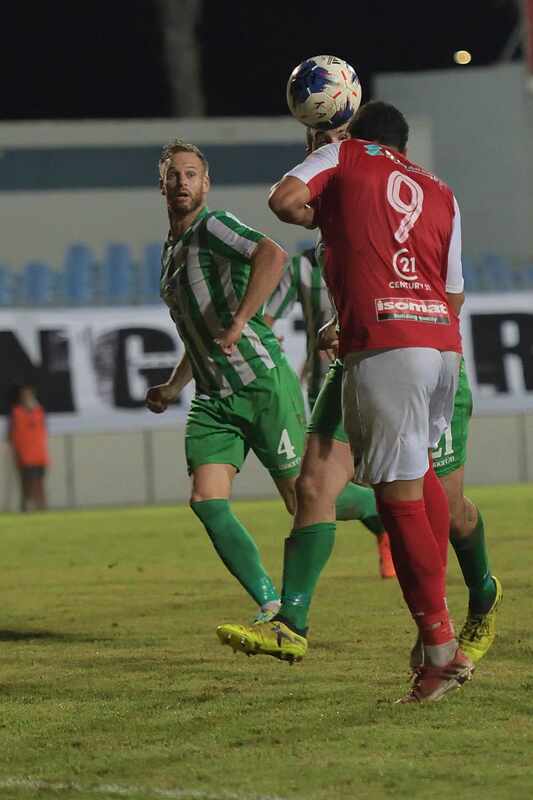 On 76 minutes Nadur’s Marcelo Barbosa was released inside Kercem’s area but defender Andre Azzopardi recovered in time and cleared the ball to a corner before the striker could conclude form an ideal position. On 83 minutes Kercem were awarded a penalty for a foul by Lucas Barreto Da Silva on Neto Pedro Mercadante Leite Do Canto, who produced a personal action inside Nadur’s area, and Felipe Augusto De Oliviera converted from the stop kick. Nadur were shocked and the closest that they went to regain the lead was on 85 minutes through a shot by Yuri De Jesus Messias from outside the area following a personal action that was saved with difficulty by goalie Branko Vrndic with the aid of the post.